London, in the south-east of Britain, is one of the great cities of the world. At more than 1,500 square kilometers, it is the biggest city in Europe. It is also an old city, with a long and interesting story. There were people in the area near the River Thames a long time before the Roman Julius Caesar arrived in Britain in 55 BC but we do not know very much about them. Some people think that Caesar built the first bridge across the river. The Romans came to Britain again eighty-eight years later. The River Thames was important to them, and they started to build a town there, north of the river. They called the town Londinium. They built a bridge over the river, and ships came up to Londinium from the sea. The town got bigger and bigger. 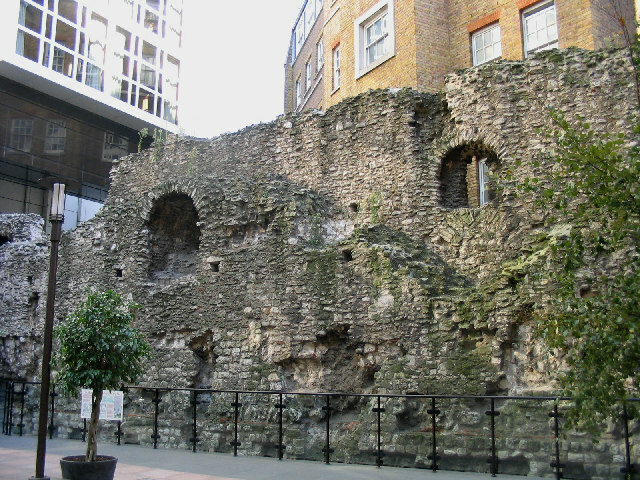 And you can see some of the Roman city wall today, near the Museum of London. It was a rich town with about 50,000 people living in it. But there were problems. In 60 AD, the Romans started a fight with the wrong person. After her husband died, Boudicca, a queen in the east of the country, was angry with the Romans. She and her followers fought the Romans. They started a great fire and destroyed most of Londinium. But the Romans built the city again and it was bigger and better. By the year 100 AD, London was the capital of Roman Britain. But soon after AD 400, the Romans left Londinium to go back to Rome, and nobody lived in the town for many hundreds of years. 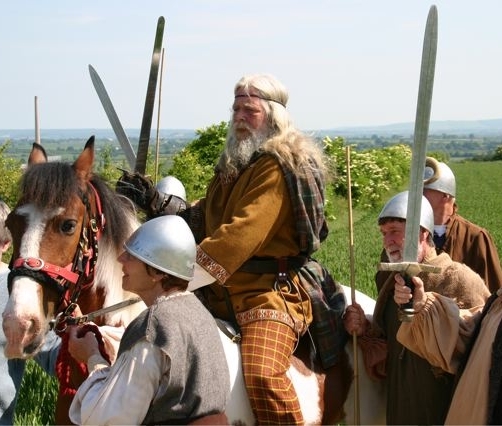 But then Saxons came to Britain from an area in Germany, and they started living near the river. In the early days, the Saxons did not use the old city, but in 834 Vikings from Scandinavia started to destroy other towns and cities. In 886, the Saxon king, Alfred, moved his people inside the old Roman city walls of Londinium. In 1050 another king Edward I, started building a great church, Westminster Abbey, west of the city. 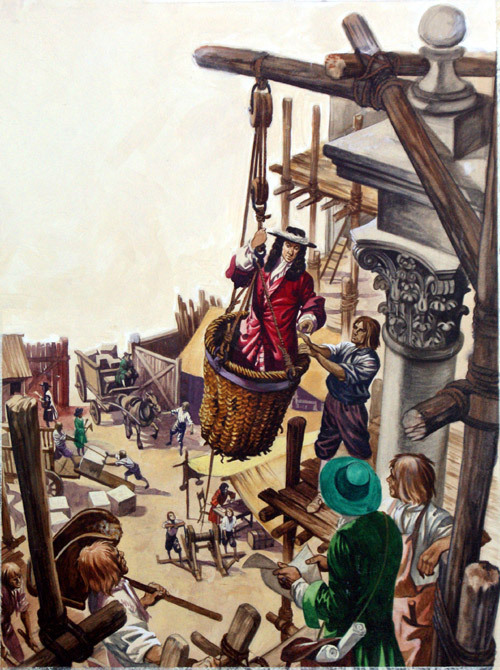 The king built a palace, Westminster Palace, between the abbey and the river because he wanted to watch the builders. Workers finished the building in 1065, and Edward died days later. In 1066, a new king of England, William I from France, stood in Westminster Abbey. William was the Duke of Normandy in France. He won the Battle of Hastings and he became King of England. William lived in London but he was afraid of the people of London. He built the White Tower to feel safe. Now it is the tallest part of the Tower of London. All the Kings and Queens of England lived in London. Later kings and queens built more buildings round this tower. The Tower of London was a palace, but it was also a prison. Two of King Henry VIII’s wives – Anne Boleyn and Catherine Howard – lost their heads at the Tower in the 1500s. When Henry the Eighth was king in 1509, 50,000 people lived in London again. By the year 1600, there were 200,000, but a lot of them lived in old and dirty buildings. In 1665, 100,000 people died from an illness called the plague. This was called the year of 'The Great Plague'. The houses in London were built very close to each other. They were made of wood. Sometimes there were small fires. On Saturday 2nd September 1666 there was a big fire. It started in the house of the King's baker, in Pudding Lane, near London Bridge. More than a quarter of a million Londoners lost their homes in the fire. It destroyed St Paul's Cathedral and eighty-eight other churches. A new St Paul's Cathedral was built between 1675 and 1711. By 1881, more than three million people lived in London. Today, more than six million people live here. The River Thames is part of London's history. It has always been at the centre of the city. Until 1749, there was only one bridge across the river: London Bridge. There were houses and shops on the bridge. Often, the river froze in the winter and people walked on the ice. In the nineteenth century, many new bridges were built. Now there are more than twenty bridges over the River Thames.